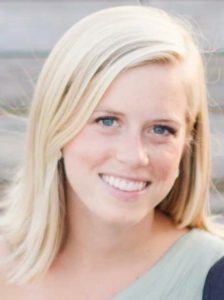 Anna graduated from Virginia Tech with a Bachelor’s Degree in Dietetics and went on to complete her dietetic internship at Virginia State University. She has previously worked at Sentara Norfolk General Hospital as a clinical dietitian where she spent the majority of her time providing medical nutrition therapy to patients with a variety of disease states including diabetes, heart disease, kidney disease, gastrointestinal conditions and cancer. Anna is passionate about nutrition and helping others. She believes that proper nutrition adds quality to one’s overall well-being and loves to help others reach their personal health and nutrition goals. She does not believe in “quick fixes”. Anna desires to not only help others meet their short-term goals but to develop healthy habits that will last throughout their entire life.